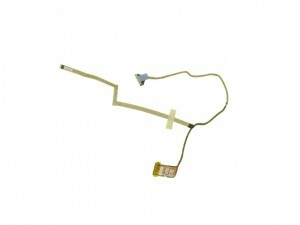 Genuine Dell OEM 17" RGB LED WUXGA LCD Video Ribbon Cable compatible with the Dell Alienware M17x and M17xR2 laptop/notebook with the RGB backlit LCD screen. *MATCH YOUR PART NUMBER BEFORE ORDERING - This cable is compatible ONLY with the M17x and M17xR2 systems that are equipped with an RGB backlit LCD screen. We have made the installation of your Dell Alienware M17x LCD Cable a simple DIY project. Just follow our step by step instructions. We have written and video installation tutorials available. Save time and money by doing your own Dell laptop repair.